Ever consider trading in your horse for a donkey? After 13 years of research, Nora Matthews, a veterinarian at the College of Veterinary Medicine at Texas A & M has learned a thing or two about donkeys. Although her research focused on how donkeys react to anesthesia, she also reports that donkeys don't scare as easily as horses; in fact, she believes it's their inherent tendency to stop and stand motionless when alarmed that gave them the reputation for being stubborn in the first place. In addition, her research has concluded that they are easily trainable and respond well to voice commands. Still not sold? Dr. Matthews also finds that donkeys are smarter than horses, better adapted to climiate change, can go longer without water, are more resistant to many diseases--plus they live longer than horses. And the benefits don't end there. Turns out donkeys are great pasture protectors too. "Donkeys are frequently used as guard animals because they will run off coyotes," says Dr. Matthews. ---Donkeys, unlike horses, can vocalize both on the inhale and exhale of their breath. This helps create that comical "heeeeee--Haaaw" effect. Jacks especially seem to enjoy braying, and will "sound off" at any opportunity. Donkeys can be used just like horses under saddle and in harness. Donkeys can perform all the gaits horses or mules do. They are very friendly, and their nature makes them excellent for children. 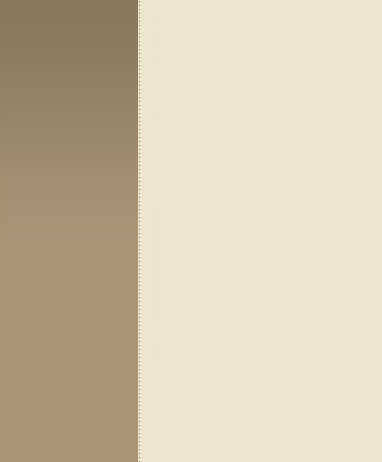 Donkeys can also make wonderful guard animals. 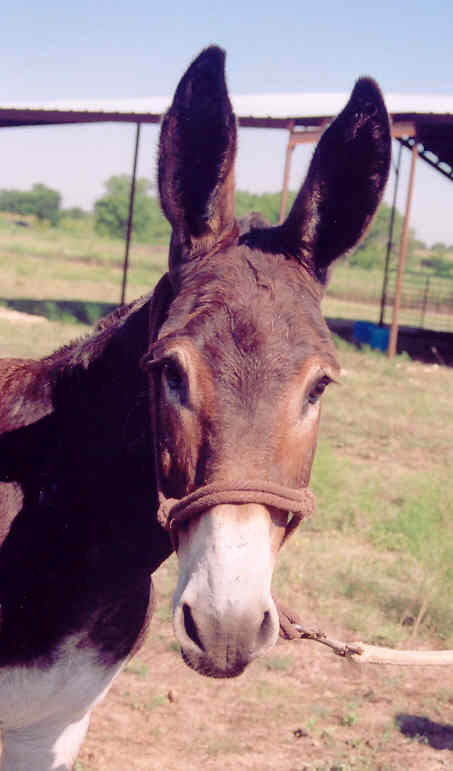 A donkey gelding or jennet will take care of an entire herd of cattle, sheep or goats--the natural aversion to predators will inspire the donkey to severely discourage any canine attacks on the herd. Go Green - Ride a Donkey! Ride or Drive a Donkey...they are the ultimate Green Machine! They will transport you astride or by cart...pack your stuff...plow your garden, fertilize your ground...leaving a smaller carbon footprint than your hybrid car! And its more fun! Really...we have raised and trained horses and mules since the early 1970's...the last ten years or so, we have started to concentrate on the mammoth jackstock donkeys...and what an enjoyable journey! These donkeys are smart, sweet, calm, and are fun riding and driving companions... If you love equines but don't know if you want to tackle a large, quick moving horses or mule, you owe it to yourself to check out the donkeys. 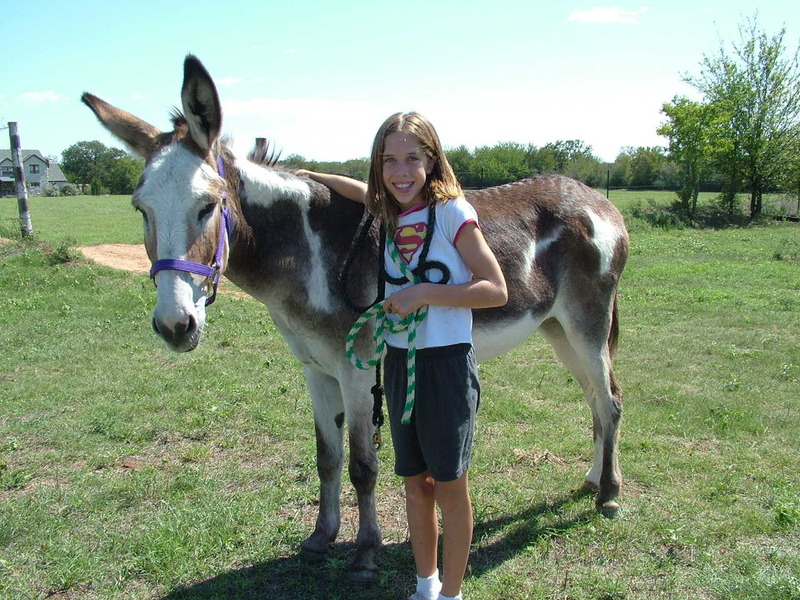 This is a neighbor...a talented young lady with a beautiful agreeable donkey that she rides and enjoys. Donkeys make great equines for those who are looking for a sweet dispositioned, calm equine - perfect for novices or those who have lost their confidence with the bigger animals such as a horse or mules. 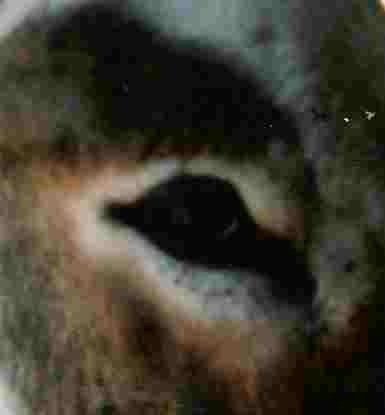 - The larger donkeys (jennies ... jacks and geldings are too rough on smaller animals) can help protect sheep and calves from coyotes but if you have a big coyote problem or feral dogs that are attacking your livestock you need to come up with a different plan to keep them safe. It is a fact that there are cases where a jenny can't even save their foals from attacks... As the article above says: "will discourage canine attacks". And don't think that a mini donkey is big enough to stay safe and keep your other animals safe...they may chase a canine and even kick it, but they are small enough that a coyote or dog can easily jump on its back or catch it by the throat. You'll fall in love with a good donkey that will ride, drive, and pack for you...plus be a quiet, patient best friend ... all with a sense of humor.